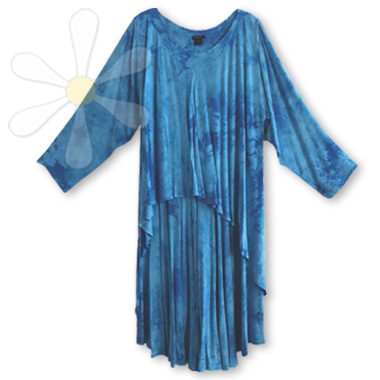 Drama and elegance meet magic fun in this bias-cut A-line dress with over-drapes that beckon and inspire your creative edge! The panels -- front and back -- can be styled in many ways by tying and draping... and adding your favorite brooch can add even more panache! The unique design is equally perfect for evening or play... expressing the easy elegance of your unique spirit.